Caladium-like foliage in fall to spring. Flowers in spring and seed pod matures with bright red berries prior to dormancy. 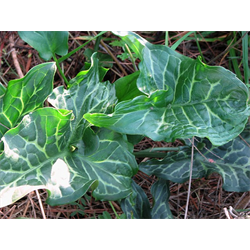 Pricing is per package of arum italicum (quantity discounts apply). Explore more of our Spring flowering bulbs for sale today!